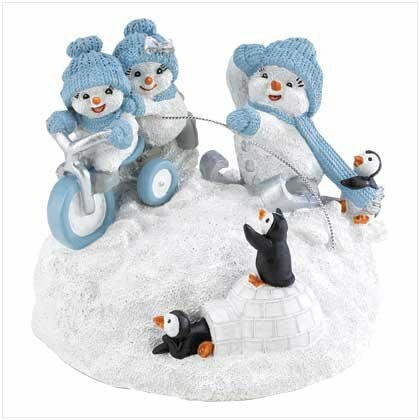 Penguins applaud as a giggling parade of snow-children pass by, with a bicycle-towed skier bringing up the rear. The very image of winter cheer! Polyresin. 4 7/8 inches x 4 1/2 inches x 4 inches high.